Coaching is quickly becoming one of the most sought after interventions to improve individual and organization performance. Why? Because it works! Coaching isn’t a new intervention, but demand for coaching is at an all-time high. 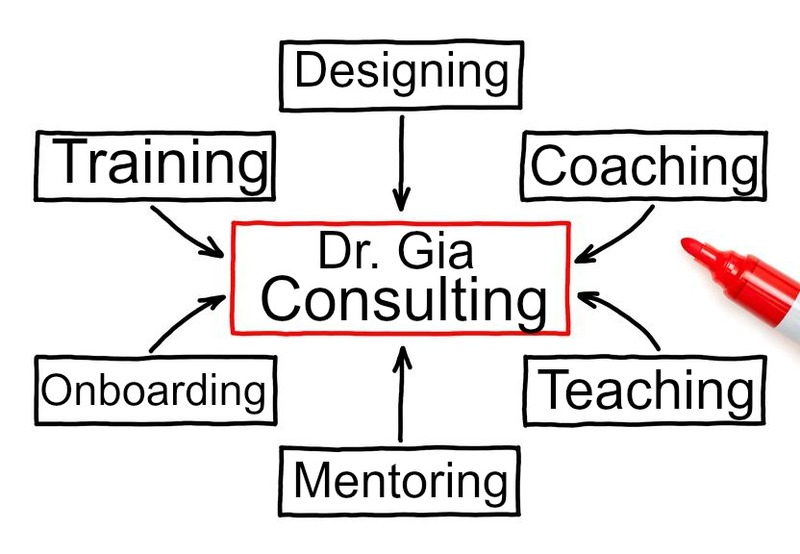 Coaching services can be provided by Dr. Gia in person, at the client site, or virtually. A current trend is the transitioning of middle management from a corrective to a coaching approach. Classrooms don’t ensure that individuals develop. Actual work-related development takes place largely on the job. This is particularly true when it comes to the skills associated with leadership, teamwork, and management … Current research now tells us that expertise in nearly every field of endeavor from the arts to writing software code is built through a process of learning from experience, involving on-the-job practice and coaching.- Ericsson, Prietula, & Cokely, 2007, as cited in Hunt & Weintraub, 2011. Do your managers focus on performance evaluations, or do they create a coaching friendly environment that includes on-the-job feedback, the exploration of solutions, and the opportunity to learn from their mistakes? Dr. Gia has implemented coaching management models that have allowed organizations to accelerate the development of their individual contributors through their current hierarchical structure … management!